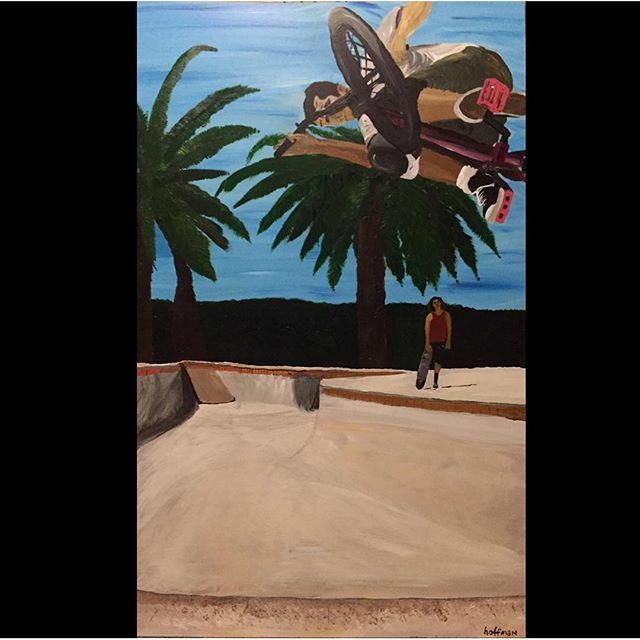 I painted this self portrait to raise money for the world famous Burnside Skatepark in Portland. Painting is now available for online bidding worldwide! 100% of the proceeds benefit the Burnside Skatepark. Auction ends Sat Jan 16th. Place your bids now at: 32auctions.com/deansdirty30 Size: 38″ x 23.5″ Please share with friends, thanks for the support! Happy New Year!